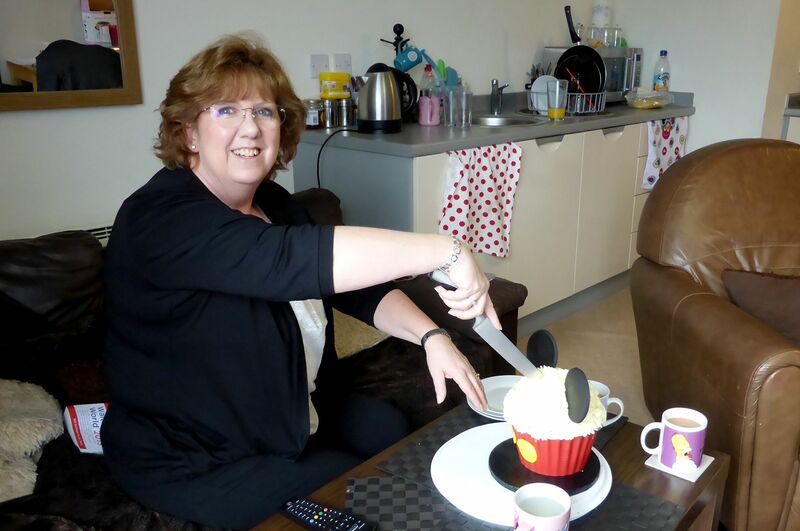 It was recently my mum’s birthday and she came to stay for the weekend with my dad. My mum is a huge Disney fan (as am I) and we are currently on countdown to a family trip to Florida this year. 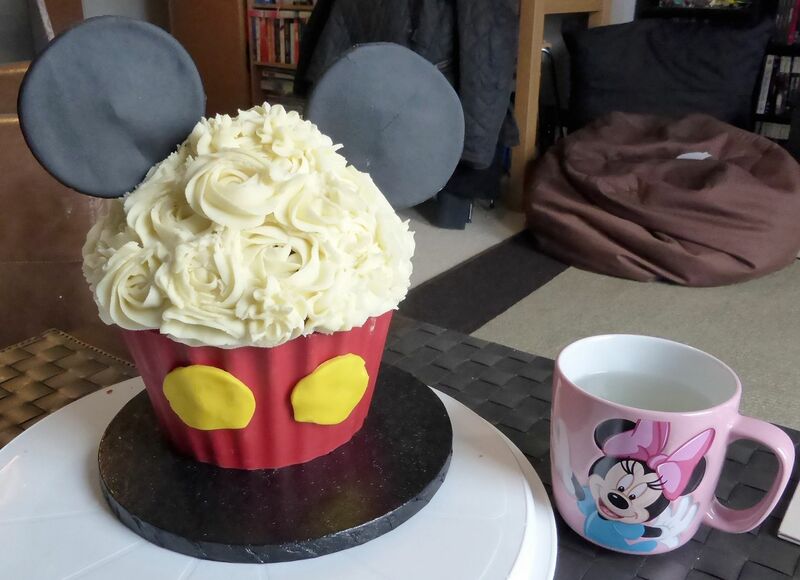 With her birthday approaching my cousin sent me a picture of a Mickey Mouse themed giant cupcake and suggested I make it for my mum. It looked amazing and so I thought I would give it a go. I did a bit of research and decided the cake would look best with a red chocolate cupcake case for the base (rather than using red icing to decorate). 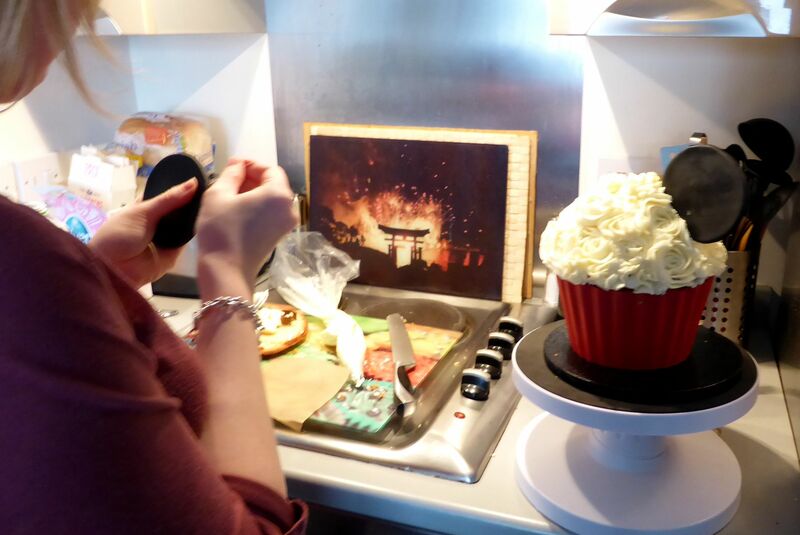 I made this using red candy melts which I simply melted and painted onto the inside of the base of my giant cupcake tin. I did three layers and once it had set, the chocolate came out of the tin and created a perfect giant cupcake case. The cake itself was filled with buttercream and my homemade strawberry jam. I then finished it off with buttercream roses on top and ears and buttons made from sugar paste. I’ve never piped buttercream roses before and a few of them didn’t come out right but the overall effect worked really well. Plus my mum loved it! Trying to work out how make the ears stay stood up – toothpicks was the answer! Look how happy my mum is 🙂 If you look carefully you’ll see the Unofficial Guide to Walt Disney World sitting on the sofa too! 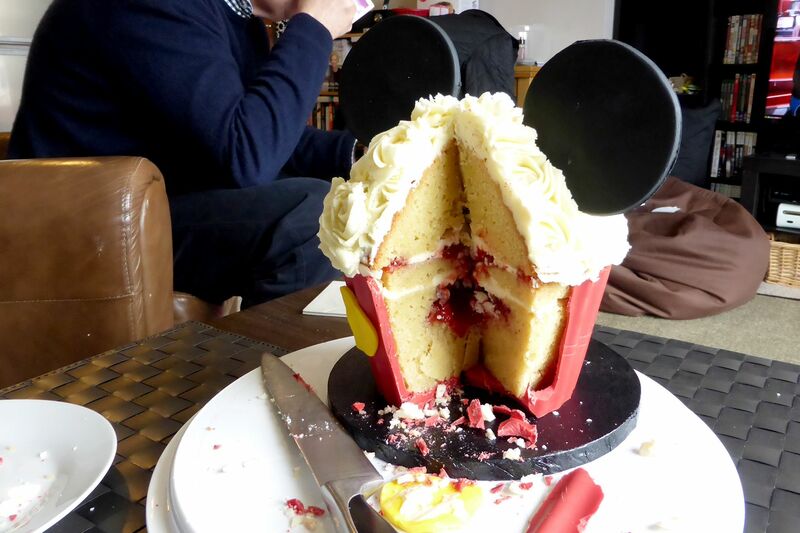 The inside, filled with yummy buttercream and jam. This entry was posted in Extra Adventures and tagged Food, Recipe, Sweets & Treats by MyGastroAdventure. Bookmark the permalink. This cake is just too cute!